Earthchild Institute Executive Director, Donna Goodman has nurtured a soul’s passion for writing games for many, many years. Her first attempt at game developing was as author of UNICEF Voices of Youth Water Alert! http://www.voicesofyouth.org/ game “Water Alert!” is an interactive educational resource on water, environment and sanitation where young people are engaged in an adventure of strategy and survival. The goal is to ensure that the people in this drought-challenged village, who are facing the threat of a flood, have water that is safe to drink and a clean and healthy school environment. Click here for the Water Alert! facilitator’s guide no link. Together with her 15 year old ‘gamer’ son, Elliot, Donna has been dreaming up an exciting new interactive online game which will address the interconnectedness of all things, with practical application for adaptation to climate change, disaster risk reduction and global citizenry… check back with us for new developments later in 2009 or in 2010. It is a global foundation for developing open-source applications of social media technology and game production, to enhance learning, innovation, entrepreneurship, and an understanding of the world in economically-disadvantaged and technologically-underserved communities. 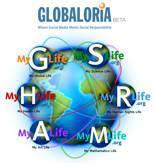 In 2006, they established the Globaloria Program which is a network of educational, programmable websites and related wikis and blogs, which prepares young people (13 and older) to use technology, specifically to become makers of interactive games and simulations, for their own personal and professional development and for the social and economic benefit of their communities. To learn more or to try out some of the science-related games, including climate change and water that have been created by kids like you, at www.myslife.org. It is an interactive online game created by the United Nations World Food Programme (WFP) In which the player is asked to address a major crisis has developed in the Indian Ocean, on the island of Sheylan. We’re sending in a new team to step up the World Food Programme’s presence there and help feed millions of hungry people. Eight principles for a better world! A delightful audio-visual educational program for kids that integrates environmental and universal values. Created by JC Little and Rosie Emery and produced by Little Animation Inc., www.littleanimation.com, in consultation with the Earth Charter Initiative www.earthcharter.org. has a bunch of cool movies and offers programs on climate change, leadership, bigpicture history and a whole lot more. has some fun resources for kids and for teachers. Oxfam’s Cool Planet website is targeted for students, including a whiteboard teaching product, Mapping Our World, for 8-14 year olds looking at relationships between maps and globes with curriculum links, information about the history, geography/environment, people/society, and facts about the 70 countries in which Oxfam works; stories of children around the world; discusses food and fair trade issues with fair trade recipes; offers ways in which students can take action to change the world. Resources and discussion forums on issues concerning children, including water, environment, and sanitation, to encourage children and youth to take action on global issues. Voices of Youth offers a glossary of terms, real life stories of children facing different issues, brain teasers, things students can do to take action, fact sheets, quizzes, interactive games for students, such as one that explores water, environment and sanitation, polls, discussion groups for youth, newsletter on youth voices, ability to download banners and such. Class exercise for students 10-18 on a number of topics, including Saving Tomorrow’s World (environment) and Cleaner Oceans. Also has topics including biodiversity and climate change for students 12-16. Has many topic areas targeted for students, including World Water Day and Plant for the Planet. Cyberschoolbus has an interactive database for up-to-date information and statistics, includes links to more interactive games. Online resource about the relationship between schools and environmental and health issues. Interactive way to examine the school environment, ways to engage schools and teachers, facts, information, project ideas, progress reports; resource library includes topics on air, health, the planet, water and links to others. Also available in Spanish. A child-friendly site with information on waste, water, energy, air. Links to sustainable education programs in Australia, US, and UK.